Mallam Adamu Ciroma, former Minister of Finance and former Governor of the Central Bank of Nigeria (CBN), has died. 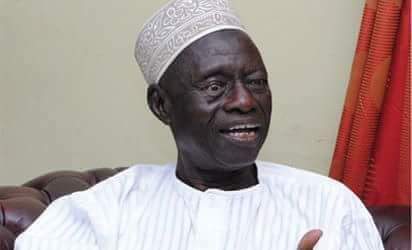 Ciroma, a founding member of the Peoples Democratic Party (PDP), died toady, Thursday at the Turkish Hospital, Abuja, aged 84. Ciroma was CBN Governor between September 1975 and June 1977. He was Finance Minister at the start of the Fourth Republic, between 1999 and 2003, during the first term of President Olusegun Obasanjo in office. He was also Chairman of Obasanjo’s 2003 re-election campaign organisation. In 1983, he chaired the Presidential Transition Committee in 1983.